"This is an important step that nobody wanted to achieve," WHO spokesman Tarik Jasarevic wrote in an e-mail. On average, Ebola – which causes fever, severe headaches and, in some cases, haemorrhage – kills about half of infected people, but case fatality rates in different epidemics have varied. 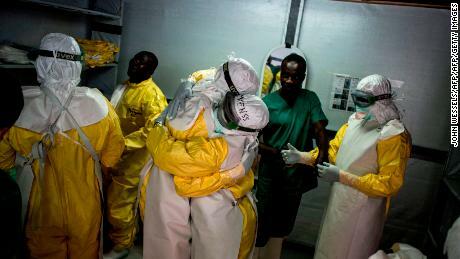 The latest outbreak in Congo, which began in August, has a case fatality rate of 57%. Of the total cases, 379 were confirmed and 47 are probable, according to the ministry. In addition, 87 suspected cases are under investigation. On a positive note, 126 patients recovered, the ministry said. This is the 10th outbreak since 1976 in the Congo, where the virus is endemic, and the second since this year. The province of North Kivu, which includes the cities of Beni, Kalunguta and Mabalako, remains the epicenter of the epidemic, although cases have been reported to neighboring province of Ituri, according to WHO. Both provinces are among the most populous in the country and border Uganda, Rwanda and South Sudan. 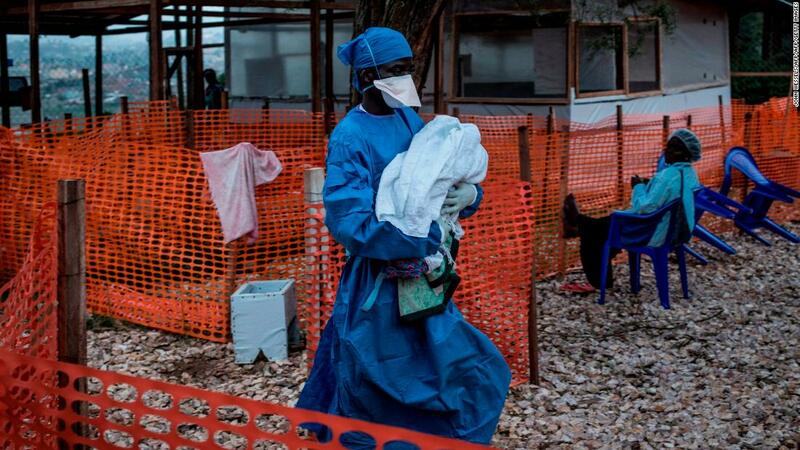 "The risk of spreading the epidemic in other provinces of the Democratic Republic of Congo, as well as in neighboring countries, remains very high," WHO said in a statement released on Thursday. However, no case has been confirmed among Congo's neighbors, Jasarevic said. "All neighboring countries have put in place enhanced surveillance and detect and investigate alerts and suspected cases of Ebola." The recent spread of infection among the population of Butembo, a city with 1.2 million inhabitants, has "raised concerns," wrote Lawrence O. Gostin, professor and director of the Faculty of Medicine. Institute O Neill for the National and World Law of Health at Georgetown Law. and his co-authors in an editorial published online Thursday in the medical journal JAMA. Noting "gaps in the response," Gostin and his co-authors urge the United States and its allies to "mobilize political attention and high-level resources for the response to Ebola" and "develop a deployment plan for public health personnel in North Kivu ". 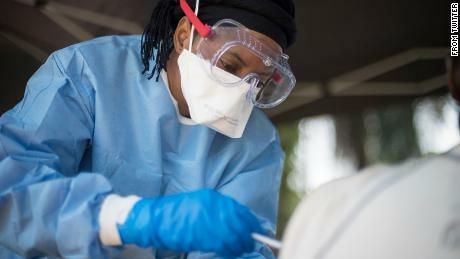 In October, staff at the US Center for Disease Control and Prevention who were stationed in the Congo were removed from the worst-hit areas because of security concerns, a US government official said. Not only is North Kivu experiencing a deadly spread of Ebola, but a long-running conflict is present, with 50 armed groups causing intermittent violence, according to WHO. A senior White House official confirmed this month that US government officials working in the field in Beni had been evacuated to other parts of the Congo for security reasons. 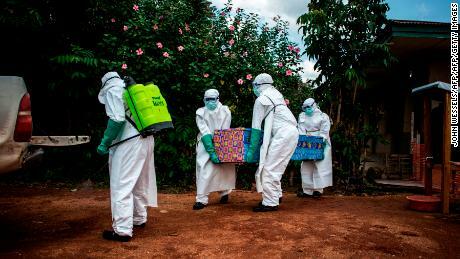 The official said the situation was constantly being evaluated and that, in the meantime, the United States continued to provide technical and financial assistance to contain the outbreak. Jasarevic called the global environment "complex and challenging". "On Friday, November 16, a second attack in one week took place in Beni," he said. "United Nations peacekeepers and government forces have engaged rebel forces.On Sunday, November 18, all activities in Beni were revived, including vaccination." Jasarevic says the response in areas outside Beni has not been affected by the conflict, but the WHO estimates that more than one million refugees and displaced people within their own country cross North Kivu and Ituri, this movement being a risk factor for spreading. d & # 39; Ebola. 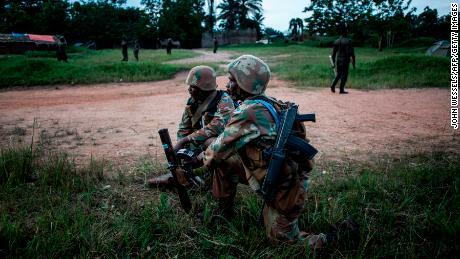 Despite these security risks and concerns, Congo's response efforts have been robust. According to Jasarevic, the Ministry of Health has 900 people active in the response. 85% of them are from the region. In addition, WHO has deployed 300 staff in the region. The latest Foreign Ministry report indicates that 37,559 people received an experimental vaccine during a campaign that began Aug. 8. "This includes more than 11,100 health and front-line workers, as well as 9,300 children," Jasarevic said. The experimental vaccine rVSV-ZEBOV, manufactured by the pharmaceutical company Merck, has been shown to be highly protective against the deadly virus as part of a major trial in Guinea, according to WHO. Gostin and his co-authors are doubtful. "Despite the deployment of an experimental vaccine, cases doubled in October 2018," they wrote. More generally, they believe that the overall response, which also includes contact tracing and experimental treatments, may not be adequate. "Of the 137 confirmed cases between 28 October and 26 November, only 19 were found through contact tracing, 32 were on contact lists but lost to follow-up, and 83 (61%) were not identified. had no known connection to confirmed cases, "said Gostin. co-authors have written. "These data suggest that contact tracing and vaccination have not prevented cascading transmission." Gostin also believes that "the mistrust of the community is deep after decades of humanitarian crises, hampering information sharing and cooperation." They note that the WHO and the UN have announced enhanced security operations this month, "but the deadly attacks have persisted." Nora Love, field director for International Rescue Committee operations in the region, offers a more nuanced vision. From mid-September to the end of last week, the non-profit humanitarian group trained more than 730 health workers working in dozens of health facilities located between the group's two offices in Beni and Butembo. "It's a very lush area where it's raining every day and temperatures are pretty mild, but it's definitely a city on the edge of a country, and you can see it's also in conflict. clearly has a tension within communities here, "says the love. "You know you are in a conflict zone, there is always a kind of insecurity that occurs every day." Despite this, she does not feel "badly welcomed by the community," she said, and she does not feel threatened because she works in health facilities, "which are a bit more isolated than ever before. go to a village ". "People who bury in safe places are the most exposed and vulnerable because they are very emotional after the loss of a loved one," Love said. "And safe burial protocols are different from traditional burials here, and this causes some distress within the community." Traditional burials involve touching the body of the deceased. To prevent the spread of infectious disease, safe burial requires protective equipment and disinfection of the family environment. Nevertheless, Love has witnessed "violent reactions" in hospitals and health facilities in the event of death. The patients were forcibly removed from the hospital by their loved ones, she said. "Last week, they went to the hospital at the death of someone, they vandalized and burned things," Love said. "Thankfully, until now, no health worker has been hurt, but there is still surveillance and an awareness that this could take on magnitude." Violence is not the only problem, as Beni has recently experienced a "significant increase" in the number of malaria cases, according to a recent report from the Ministry of Health. The main frustration of love lies in the difficulty of "getting ahead of things – just when we think we have progressed to one place, the epidemic has shifted elsewhere," she said. declared. As a result, his organization has explored new strategies to see if it can become more flexible and faster in its responses. Meanwhile, the broadest answer persists. 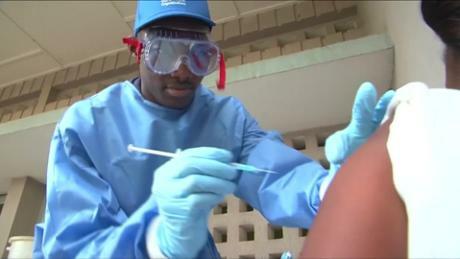 Health personnel continue their vaccination efforts as WHO and Congo conduct their first randomized controlled trial to evaluate the efficacy and safety of experimental drugs offered as part of a program. "compassionate use" to treat patients with Ebola. The WHO said it remained "focused on ongoing containment efforts to end the epidemic" and urged provinces and neighboring countries "to improve the activities of the country. monitoring and preparation ". "We want to make sure that the international community has its eyes on it and not just on the UN," Love said. Jasarevic remains optimistic: "We are convinced that by working together with all our partners, we will be able to put an end to it."